According to Psalm 104, God came on the clouds of heaven at the creation of the earth. This appearance echoes the parousia when Jesus also came on the clouds at the creation of a new earth predicted in 2 Peter 3:13 and Revelation 21:1. During the act of creation, “the Spirit of God hovered over the waters.” This motif in which the Spirit of God hovered over the waters in Genesis 1:2 is the first recorded incidence in the Bible in which the Spirit of God had come on the clouds according to Psalm 104:3. The clouds upon which the Spirit of God rides in Genesis 1:2 are formed by the separation of the waters above from the waters below in Genesis 1:6-8. The resultant cloud cover formed by the separation or evaporation of the waters becomes the clouds that serve as God’s chariot. This motif is not unique to Genesis and is found in several places in the Old Testament. It is also found in the New Testament where it is applied to the parousia or the second coming of Christ in Matthew 24:30 and several other places in the New Testament. During the second coming, Jesus was also expected to come on the clouds of heaven. In Genesis 1, the Spirit of God hovered over the waters during the creation of heaven and earth. 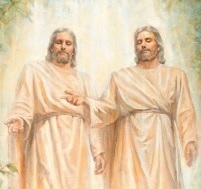 Similarly, the second coming marks the creation of a new heaven and earth foretold in 2 Peter 3:13 and Revelation 21:1. Therefore, when Jesus came on the clouds of heaven during the parousia this act mirrored Genesis 1 when the Spirit of God came on the clouds during the act of creation. And in the same way that the Spirit of God was present throughout the entire act of creation detailed in Genesis 1, the second coming which marked the creation of a new heaven and earth would also be expected to be a coming with a prolonged presence, not a brief one-time event. “Parousia” denotes the arrival of a high-ranking official into a city for an extended stay before then returning to the capital city. This would seem especially likely considering the fact that the Bible often uses the word “parousia” when mentioning the “second coming.” Parousia is a Greek word meaning “presence” or “coming.” This is a word used to denote the arrival of a conquering general, emperor or high-ranking official into a city for an extended stay oftentimes for several months or years before then returning to the capital city, the seat of his throne. The word connotes a coming and an extended presence or stay often followed by a subsequent departure. When people think of the “second coming” or parousia, they often picture a one-time, brief appearance of Christ on the clouds. However, this term generally connotes a coming and an extended stay or presence as is implied by the way “Parousia” is used in Philippians 2:12. Thus this term connotes a coming and extended stay similar to God’s extended presence throughout the act of creation laid out in Genesis 1. During His ministry, Jesus said that He would soon depart from this world to be with the Father in heaven (Luke 19:12-27; John 8:21-23; 13:1; 14:2-3; 16:7). Then after His death and resurrection, Jesus ascended into heaven in Acts 1:9-11 and there he stayed at the right hand of the Father (Acts 3:19-21; 7:55; 1 Thessalonians 1:10; 2 Thessalonians 1:7; Hebrews 9:24; 1 Peter 3:22) until he returned to earth during the second coming or Parousia where He came on the clouds of heaven in judgment on wayward Israel.2 (Thus the seat of Christ’s throne is the Jerusalem that is in heaven (John 18:36, Hebrews 12:22, Galatians 4:26) with the Father (Daniel 4:26; Acts 2:22-36; 7:48-49).) Christ’s coming to earth during the Parousia mirrors the coming of the Lord on the clouds of heaven in Psalm 18 when God descended from heaven to ride the clouds in judgment: “He [God] parted the heavens and came down; dark clouds were under his feet (Psalm 18:9).” As stated above, “Parousia” is a Greek word used to describe an extended visit. The term implies that a regal figure will visit a city or province for some time before returning to his capital city, the seat of his throne, assuming, of course, that the city being visited is not the capital itself. This word is thus a perfect description of Jesus’ coming in judgment during the Jewish War. After His ascension, Jesus departed to heaven where he reigned at the right hand of the Father in the heavenly Jerusalem mentioned in Hebrews 12:22 and Galatians 4:26. Jesus then returned to Israel to enact judgment during the Jewish War. Here He stayed for several years making various miraculous appearances before returning back to heaven, the seat of His throne, with His people at the resurrection at the last trumpet (1 Corinthians 15:51-52, 2 Thessalonians 2:1). Thus Christ’s coming to and extended presence in Israel from A.D. 66 to A.D. 70 during the Jewish War perfectly fits Biblical descriptions and historical uses of the Greek word “Parousia” which is an extended visitation–not a brief one-time appearance–of a regal figure often followed by a later departure back to the capital. This capital is, of course, heaven where Jesus ultimately returned with the saints at the resurrection in A.D. 70. I believe that Jesus was quite literally present throughout the entire course of the Jewish War. The parousia is the perfect climax to Biblical history. In Matthew 16:27 Jesus promises to “come in the glory of the Father.” Literally fulfilling this promise, the various appearances of Christ throughout the course of the Jewish War and subsequent death of the beast appear to mirror seemingly all the diverse ways in which God manifested himself throughout the Old and New Testaments. 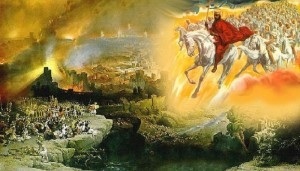 “[T]he Lord Jesus [was LITERALLY] revealed from heaven in blazing fire with his powerful angels.” (2 Thessalonians 1:7) Yosippon describes a fiery army in the clouds much like the army Jesus led in Revelation 19:11-14.
the second coming including that of the appearance of Christ on horseback leading an army in the sky in Revelation 19, this coming of Christ exactly matches the coming of the Lord in Deuteronomy 33:2, Habakkuk 3:3-15, Zechariah 14:5 and the appearance of the Lord in the sky during the Maccabean Wars according to 2 Maccabees 5:1-4. The horsemen and chariots seen in the sky in A.D. 66 are also reminiscent of Psalm 68:17 and Zechariah 6:1-8 and are an identical match to the angelic horsemen and chariots of fire in 2 Kings 6:17. The second coming as it is described in Revelation 19. In Revelation 6:2, the first of the four horsemen rides a white horse. 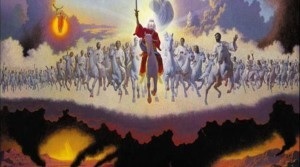 This horseman is Jesus Christ who rides the same white horse in Revelation 19:11-16. 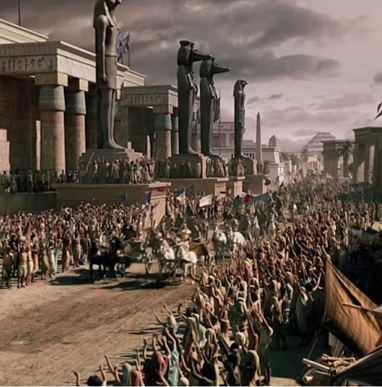 Because Revelation 6:1-8 transpired before the unleashing of the seven trumpets and bowls, this army of horsemen described in Revelation 6:1-8 and Revelation 19:11-16 must have made their appearance at the start of the Jewish Revolt in A.D 66. Interestingly, an angelic army of horsemen was reportedly seen at precisely this time–the start of the Jewish revolt in Iyyar of A.D. 66. The Parousia Amidst the Jewish War: The Appearance of Christ in A.D. 68? and The Second Coming of A.D. 70–like You’ve Never Heard it Before! The Appearance of Christ in A.D. 68? The Second Coming of A.D. 70–like You’ve Never Heard it Before! As explained in The Appearance of Christ in A.D. 68?, the next coming of Christ on the clouds appears to have been at the start of the Idumean massacre in A.D. 68. The third, which was very similar, was at the start of the siege of Jerusalem in A.D. 70. See The Second Coming of A.D. 70–like You’ve Never Heard it Before! During these two occasions, Christ came on the clouds in judgment on Jerusalem at the head of an invading army. However, Christ was invisible as the brightness of his presence was masked by the Glory Cloud, thick dark storm clouds, as was the case during the coming of the Lord in 2 Samuel 22:8-15, Isaiah 66:15-16, Psalm 18:6-16, Psalm 50:3, Psalm 97:1-5 and Psalm 144:5. 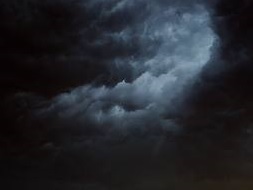 These two aspects of the parousia are a perfect reflection of the way in which God had come in judgment on cities in the past according to the Hebrew prophets—the brightness of his presence being masked by the thick, dark storm clouds of the Glory Cloud. After Jesus’ parousia during the Jewish War, He presumably returned to heaven with the saints at the resurrection in A.D. 70. 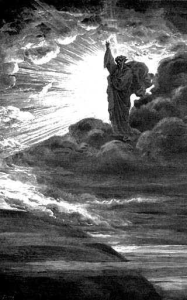 Then as implied in Revelation 19:20-20:3 and 2 Thessalonians 2:8, Jesus came down from heaven again (Revelation 20:1) to cast Satan into the Abyss around the time of the death of Caesar Vespasian (A.D. 79), Titus (A.D. 81) and Domitian (A.D. 96). John Noe lists thirty to forty separate comings or appearances of Christ throughout the Old and New Testaments.3 The fact that Jesus would make another appearance after the Jewish War should not be surprising in light of the many appearances He made throughout the Bible–especially considering the multiple appearances He made between His ascension into heaven in Acts 1 and the start of His Parousia in A.D. 66 (Acts 7:55-56; 9:1-18; Revelation 1:9-20). In other words, why should we assume that Jesus was only to come once at the end of the age if the pattern throughout the Bible is just the opposite—many comings?4 Though Christ appears to have been visible at the start of this event like the appearance of the Lord in Ezekiel 1:4-26 and Daniel 12:5-7, this aspect of Christ’s coming then transitioned to mirror Exodus 3:8, Exodus 13:21, Exodus 19:16-19, Deuteronomy 4:11-14, 1 Kings 19:11-13 and Psalm 50:3 during which the Lord came in the midst of cloud and fire. 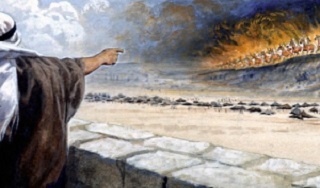 According to Psalm 18:6-16 and 2 Samuel 22:8-15 whenever God came on the clouds in judgment on a nation, he did so in the midst of the Glory Cloud, a dark cloud with fire and earthquake. Therefore, when Jesus predicted that he would come on the clouds of heaven during his parousia, it is expected that he would also come in the midst of the Glory Cloud. The Glory Cloud was also present around the death of the Beast. This appearance of Christ at the death of the beast bears an uncanny resemblance to the descent of the Lord on Mt. 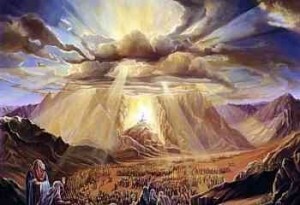 Sinai in the Glory Cloud according to Exodus 19:16-19. Since the Law was given by God at Sinai, could this appearance of Christ be a final sign of the fulfillment of the Law and the establishment of a new covenant? See The Historical Appearance of Christ at the Death of the Beast Fulfills 2 Thessalonians 2:8 and Revelation 19:19-20. The Parousia During the Jewish War: Did Jesus Appear in Jerusalem in the Flesh during the Jewish War? The second member of the Godhead, the pre-incarnate Christ, also appears to have come in the form of a man in Genesis 32:24-30, Joshua 5:13-16 and Judges 6:11-24, though the most prominent example is, of course, when God came in the flesh in the person of Jesus Christ in the Gospels. The parousia also seems to recapitulate this coming of the Lord. Biblical and historical evidence appear to suggest that Jesus Christ may have also entered and stayed in the city of Jerusalem in the flesh during the Jewish War in a coming with an extended presence that mirrors His earthly ministry in several notable ways. For a detailed explanation of the compelling Biblical and historical evidence of the literal physical presence of Christ throughout the course of the Jewish War see the commentary on Revelation 11. The Bible is a book full of types and multiple fulfillments. The “second coming” or parousia appears to be no exception. The second coming or parousia as it had been fulfilled through the various miraculous appearances of Christ during the Jewish War and the death of the beast are a first century climactic repetition, exemplification and fulfillment of all the various ways in which God manifested himself throughout the Old and New Testaments. 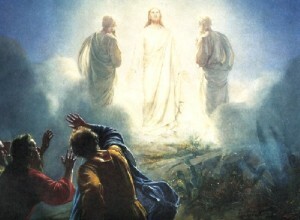 The Transfiguration Models the Above Appearances of Christ during the Parousia: How and Why 2 Peter 1:16-18 Implies that the Transfiguration is a Visionary Type of the Second Coming and How the Transfiguration Literally Modeled the Various Manifestations of Christ during the First Century Parousia. How and Why 2 Peter 1:16-18 Implies that the Transfiguration is a Visionary Type of the Second Coming and How Every Element of the Transfiguration Literally Modeled the Various Manifestations of the First Century Parousia. 2 Peter 1:16-18 implies that the transfiguration is a model of the parousia. During the initial manifestation of Christ in A.D. 66, Jesus appeared at the head of an angelic army on horseback. 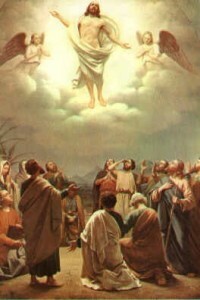 According to Yosippon Christ and his companions appeared at this time in a luminescent form similar to the way in which Jesus is described at the transfiguration. After seeing Jesus in this radiant form God then appeared in the Glory Cloud. The coming of the Lord on the clouds of heaven at this time mirrors the coming of Christ on the clouds of the Glory Cloud in A.D. 68 and A.D. 70. However, more than any other appearance of Christ during the Jewish War, the transfiguration most strongly resembles the final climactic appearance of Christ at the death of the Vespasian—regarding likeness and sequence of events this resemblance is uncanny. Lastly, the fact that Jesus stood in the presence of Moses and Elijah during the transfiguration may point to Jesus as the sole embodiment of the two witnesses who according to Revelation 11:5-6 display the power of Moses and Elijah. Jesus said that He would depart to heaven and then send the Holy Spirit to be with His people (John 16:7, 1 Peter 1:12). Thus through the presence of the Holy Spirit, Jesus fulfills His promise to the disciples that He would be with them until the end of the age (Matthew 28:19-20) in addition to being present when two or more people pray in His name (Matthew 18:20). John Noe, Ph.D., The Greater Jesus: His glorious unveiling, (Indianapolis: East2West Press, 2012), 43.